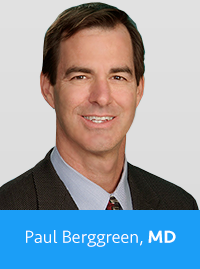 Phoenix, AZ – In another win for Arizona Medtech startups, the founder of Smart Clinic and Arizona Digestive Health, Paul Berggreen, MD, has been named one of the “Top Healthcare Entrepreneurs to Know” by Becker’s. Before starting Smart Clinic, Dr. Berggreen formed the Arizona Endoscopy Center and still serves as its president, and functioned as the director of the Good Samaritan gastroenterology fellowship program from 1998-2013. In 2007, he led the formation of Arizona Digestive Health, now one of the largest gastroenterology groups in the US, and still serves as its president. Dr. Berggreen founded Smart Clinic in 2014, focusing on improving procedure preparation for gastroenterology including colonoscopies. His research paper at the 2013 Digestive Disease Week demonstrated a +35% improvement in procedure preparation, becoming a top trending story on Fox News, Huffington Post and leading gastroenterology publications. Smart Clinic has now expanded to include a complete cycle of care including appointment reminders, medication adherence, patient satisfaction surveys and chronic care interaction, and will be launching a new application in early October using patient feedback to simplify medical communication making for happier, healthier patients.